This past Saturday I finished the Sea Glass Quilt which gave me tremendous satisfaction. It's hard to describe the meaning this quilt has to me as it has been with me since just before my father passed in February 2012 and the evolution of it's creation, where it's going and the name has helped me through the past fifteen months. Sea Glass : Front View 60" x 80"
I began this quilt in December 2011 with no real intention of whom it was for or where it was going. I saw Jenna's blogpost about her Sew.Happy.Quilt Along, loved the idea and immediately purchased a line of fabrics I liked from The Intrepid Thread. When the first block instruction came out in January of 2012, I suddenly had to pull from those fabrics I had purchased to start....oh my gosh, which ones should I choose? I had fun with the first five blocks or so, learning how to pick fabrics and deciding where in the block they should go. It was a true learning experience for me. The Pinwheel Block - my favorite. In February of 2012, my father passed away and for obvious reasons I stalled out on the progress on this quilt. For about four months the first five blocks and fabric lie tucked away in my closet until I finally had the inspiration to pull them out and begin working toward finishing the blocks. Can you see the detail in the quilting? My quilter did an amazing job. Three different quilting designs all over the quilt. While visiting a favorite cousin and family on the coast of Oregon in late May of 2012 it occurred to me where this quilt belonged - with that favorite cousin whom was always a big fan of my father (and he of her too!). While enjoying the Oregon seashore with her in the early mornings we would look for shells and sea glass....never found any but the name stuck in my head. Sea Glass : Back View Can you spy the label? While working on the remaining seven blocks, sewing on the sashing making the binding and making decisions about the quilting, I thought of both my father and my cousin. The final step of hand sewing on the binding felt almost cathartic as I knew this quilt which had I had cried tears onto but had also enjoyed many memories, was soon to leave me and go to its new home. Anthology Fabrics - Morrocan Mirage, Kona Celery & Snow Solids. Who it's for: My favorite Portland, OR Cousin. I love her dearly. 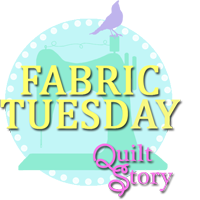 I'm linking up with Fabric Tuesday at Quilt Story today. Even when quilts don't start out with a purpose, they have a way of accumulating purpose as they go along, don't they? Sea Glass has definitely played a role in your life and in your healing over the last year-and-some, and it'll now go on to bring joy to your cousin. What a wonderful story--and a beautiful quilt too. Your quilt came out beautiful, Susan! I'm sure your Dearly beloved Cousin will cherish it forever! I really like the name you gave it it'll always remind you of the walks on the beach. Thank you so much for sharing your touching story! A lovely story and a lovely quilt. So nice to hear from you! I hope all is well. This is my first time visiting your blog (through Fabric Tuesday) and what a lovely entre to your quilt world - a personal story for a lovely quilt. 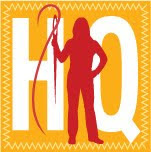 I will be following to see what other heartfelt quilts pop-up in your world and what other great quilt names you come up with as well. Your quilt is so beautiful, and the quilting is terrific. What a great feeling it must be to finish this labor of love, and I'm sure your cousin will love it as well. Beautiful, and a touching story! Very well done! Susan, your quilt is absolutely LOVELY! your quilt is beautiful, and I am sure your cousin will cherish it as much as you, it will serve as a link between you two. The quilting is amazing!! The colours are simply wonderful together! !